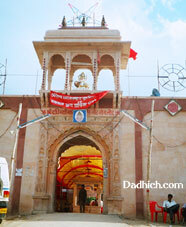 Dadhimati Mata Ji Temple, Gothmanglod (Rajasthan) : Picture Gallery. 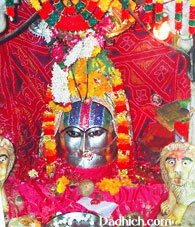 Dadhimati Temple - Also known as Gothmanglod temple, 40 km away from Nagaur, the oldest temple of the district constructed during the Gupta Dynasty (4th Century), Kul Devi of Dadhich Brahmins. 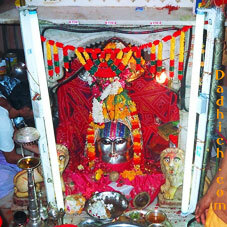 Copyright ?2003 Dadhich.com. All rights reserved.